Chris & Taylor's Scavenger Hunt Proposal - Shane Co. When you’ve found the one, you know it! 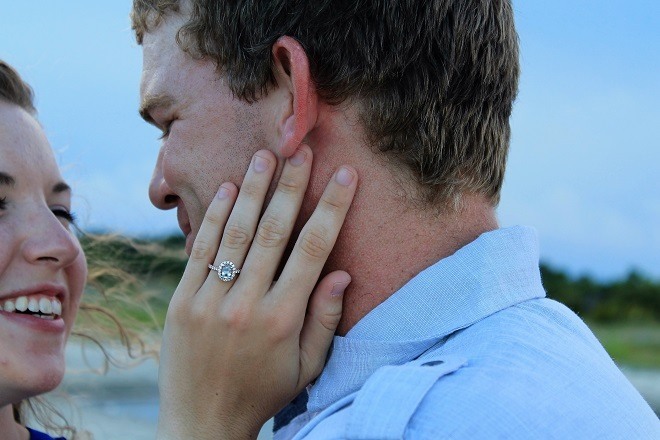 We loved receiving this lovely couple’s picture-perfect proposal. 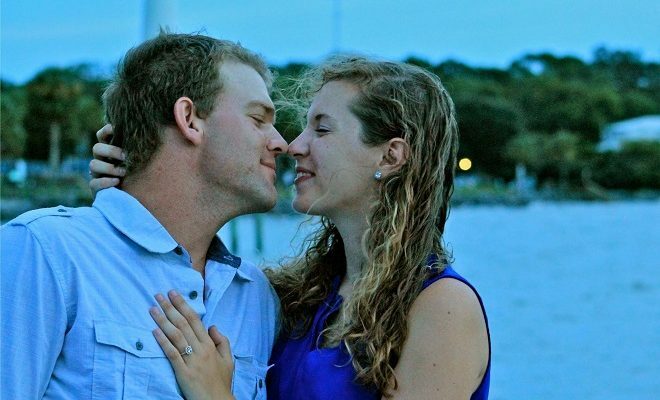 Chris and Taylor met after a church service at a local diner. Their first meeting was filled with conversation and questions about everything from work to family to church. They instantly discovered how similar they are and how many of their passions aligned. The couple’s relationship developed quickly, and very soon after the start of their relationship, they started discussing marriage. Their honesty and openness made it easy. Taylor had a general idea of when Chris was going to propose, but with the help of Taylor’s friend Nadine, Chris was able to pull off an exciting, romantic proposal. Chris got Taylor’s friends to write letters that would help him pull off the surprise. 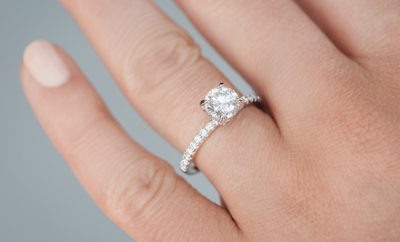 Chris took advice from Nadine, and from Taylor’s Pinterest account, when picking out Taylor’s ring. He settled on a beautiful rose gold oval halo ring with a stunning white sapphire. Beautiful choice, Chris! 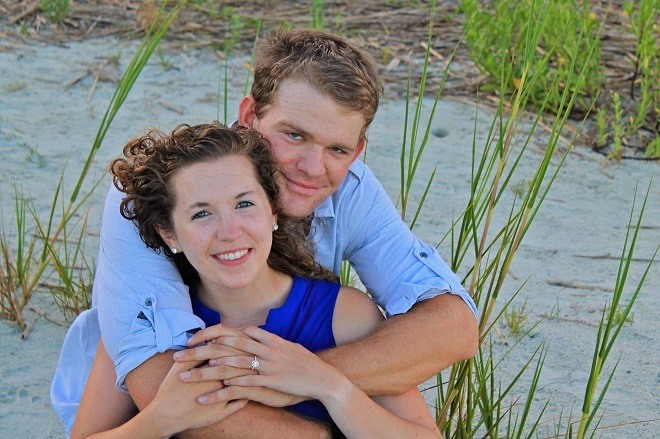 Their wedding is set for this November, and we can’t wait to see the pictures. We’re so thrilled to be a part of Chris and Taylor’s love story!